1. Era of slow growth, now and always? The year 2016 was a strange year which offered so many conflicting signals about the direction and expectations of humanity. A computer program, AlphaGo – a form of artificial intelligence software developed by Google – beat Lee Sedol, the 18-time world champion of Go in a match divided into five segments. Those who know computers and the Go board games consider this a significant leap forward in terms of what we typically think about computers. With Go, you cannot win with blunt computational power; you also need creativity and the ability to learn from the opponent’s way of playing the game. A big step towards a world of intelligent devices was taken. They became a part of our physical living environment. Robot cars were tested on the streets of many cities. In a few early summer weeks, Pokémon Go became a global phenomenon and attracted kids and teens on to the streets to engage in adventures bordering on virtual reality and to find hundreds of different types of Pokémons around them. The science fiction-like merger of digital and physical realities became a reality in our lives. Well over two billion people carried a device that allowed internet access, instant messaging, web chat, sending photos and videos and making video calls to anywhere in the world. The world in 2016 was wealthier than ever before, the global GDP was approximately three times that of 1990 and global GDP grew by 4.2 per cent. Of the UN Millennium Development Goals, success was achieved in halving poverty and increasing the number of girls enrolled in schools to the same level as boys. A new step was taken in the revolution of clean energy, as new record prices were achieved for the production prices of solar energy; less than 0.03 US dollars per kilowatt-hour. The dissatisfaction of many also became apparent during the same year. It was apparent in politics through surprising and dramatic election results. Americans elected a president who promised to make America great again, close the borders and restore industrial jobs. The UK held a referendum and decided to exit the European Union, a community that was once established to strengthen economic growth by removing obstacles from the free movement of labour, goods and capital. The exit campaign promised to return control from Brussels back to the UK. This was heard by many of those who voted for Brexit as a promise to significantly reduce immigration, which would imply less competition for jobs and homes. Similar radical political shifts occurred in 2016 throughout Europe, as well as in Asia and Latin America. The developed world holds a negative view on its future and this is evident when asking people directly, not just when reviewing results of elections. According to a Pew Research Center study, 44 per cent of Americans believed that life in late 2016 was worse than 50 years before (in 1966) and only 36 per cent felt the development had been positive. Less than a third of Americans and Europeans believed that their children will be financially better off as adults than their parents. In contrast, 80 per cent of Chinese believe that their children will have a better financial future. Alternatively put, the confidence in something better is eroding in Western countries. The basis of this essay is the aforementioned conflicting and paradoxical outlook. The goal, however, is not to offer reasons on how we have reached this point. The events in 2016 illustrate the tensions that will mould societal development over the next few years and provide a real reason for asking “Where are we heading? How will progress be defined in developed societies in the 2020s, which are wealthier than ever before, but where long-term economic growth is very low? The purpose of the essay is to draft a view, using this horizon, about how progress will be defined in developed societies in the 2020s, which are likely to be wealthier than ever before, but where long-term economic growth is very low. Many experts currently estimate that global economic growth during the next few years may grow slightly faster than during the past few years. However, the growth figures will be far from what we were used to during the peaks of past decades. If a future societal outlook described here were based on the criteria of the year 2000, it would be easy to conclude that it is undisputedly gloomy. This text aims to challenge this narrow way of thinking that is based on a late industrial societal approach to progress. The text also aims to construct a pluralistic view of progress in a society where the basic human needs have primarily been met, goals are more set on needs beyond material needs and concerns stem largely from uncertainties regarding the future. Economic growth is no longer the most central indicator of progress in this view. Instead, progress is seen as people’s perception of their own development as people and the value generated by accomplishing things together, while also including our societies’ ability to resolve the great challenges of our time, such as climate change or the need to care for an increasingly ageing population. This essay is part of The Next Era publication series, which constructs a view of a fair society of the future and the current ongoing societal transformation, which provides the foundation for constructing this new vision. The view drafted here on progress offers content for a vision of a new type of well-being within the limitations of the world. There are a great many people who feel that there is no reason to analyse the reasons behind people not being optimistic about the future. An easy and obvious explanation for the pessimistic approach to progress is the slowing economic growth. The 30 years following the Second World War were a period of extremely high economic growth in developed countries. In many countries that industrialised and urbanised later on, economic growth continued throughout the 1980s. The end of the 1990s and the early 2000s were also a period of high economic growth. Following the 2008-09 financial crisis, the annual economic growth in developed countries has been modest. In Finland, it has varied between –0.5 and 1 per cent. The range has been similar in Holland. The growth has been between –1.5 and 1.5 per cent in Denmark, 0.5 and 1.5 in the Czech Republic and Canada. In Japan, where economic stagnation has been an issue for 20 years, the maximum growth has been 1.5 per cent, while at times the economy has been contracting at the same pace. The growth of Germany’s economy over the last decade has been a topic of discussion, but the economic growth in Germany over the last few years has been less than 2 per cent, typically below 1 per cent. The economic growth in the UK has remained around 1 per cent during the best periods. The United States is a significant exception, as growth rates of up to 4 or 5 per cent have been achieved there, although the economy has contracted there at times as well. However, the real income of the bottom half of the population (including a large portion of the middle class) has remained stagnant for decades in the United States, despite the significant economic growth. There have been a lot of different explanations offered for the poor economic growth trends in developed countries. Typically, the explanations include the transfer of production to countries with lower labour costs as companies capitalise on information and communication technologies, the shift of the economy’s focal point to rapidly developing countries (currently often in Asia) where a majority of the population still have many unfulfilled basic needs and where the demand for consumption continues to grow, and the inability of mature industrial countries to remove obstacles preventing the growth of new business caused by rigid laws controlling the labour markets and business. After a period of rapid growth achieved through a modernising society, it is difficult to achieve a growth rate over 1.8 per cent through political interventions. Some economists feel that this is a fundamental and inevitable development phase in the economy: after a period of rapid growth achieved through a modernising society, it is difficult and even impossible to achieve a growth rate over 1.8 per cent through political interventions. Growth rates of that magnitude are a result of an increase in productivity through innovation. The results of these changes are demonstrated by shifts in labour markets even more than in economic growth. There are fewer large industrial employers, traditional jobs offering stable income are being lost and employment is increasingly difficult in smaller towns and villages. All of this makes the personal future more difficult to anticipate for many: will there be a demand for my expertise in the future, do I dare buy a home in my home town and will the pension system work as promised when I want to retire? Such a poor economic state might make it easy to explain the eroding confidence in the future and the dissatisfaction with politicians. In principle, this explanation is also supported by observations by behavioural scientists. According to them, the perceived well-being of people has a strong correlation with economic growth. The basis of this is a phenomenon known as the hedonistic treadmill. People are rarely satisfied with what they already have. Instead, they become quickly bored with things they already have: a home purchased five years ago produces less happiness each year, unless they are able to repeatedly add new things to it or at least get to go on a better vacation than before. In addition, we are quick to compare ourselves to others. It is difficult to be happy if you feel that others are doing better than you. The perception of a lack of fairness (others are undeservedly becoming wealthier than oneself) is connected to dissatisfaction and the feeling that society is not going in the right direction. However, the experiential distance from economic growth figures to the individual’s perception of progress and fairness is great. How can a direct cause-and-effect relationship be created between these two issues, and which one is the cause? Confidence in the future certainly affects economic growth; this is why consumer expectations on economic growth are comprehensively measured in most countries. What other factors regularly affect people’s confidence in the future and their perception of progress? 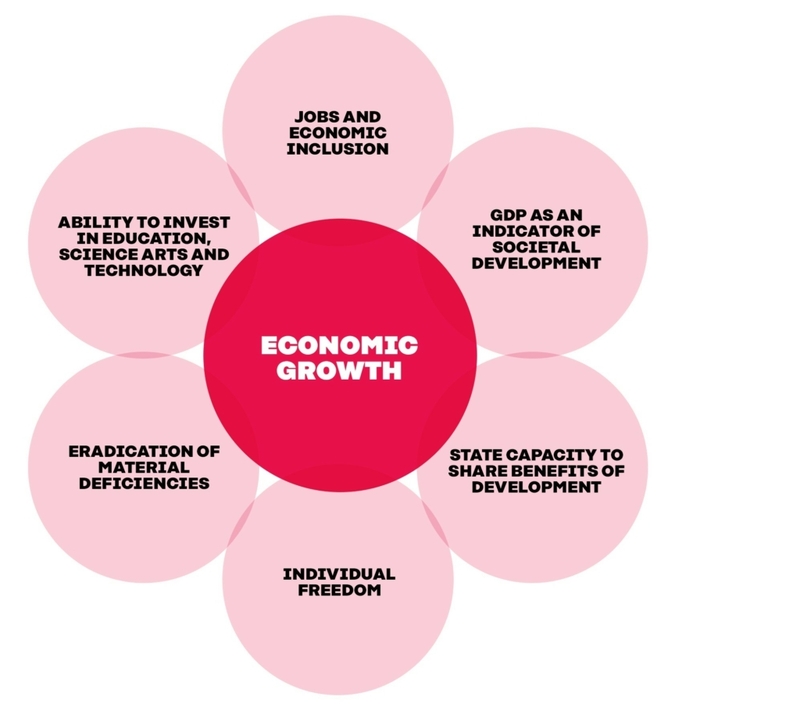 Does the weight of these other factors vary when compared to economic growth? And, most importantly, is it possible to maintain confidence in the future and progress in a society where the economy is not significantly growing? These questions are important, because it is possible that we in Finland and other developed countries are in a long-term era of slow or nearly zero growth, which could even last a generation. WHY IS THE QUESTION OF LOW GROWTH RELEVANT RIGHT NOW? It is very difficult to achieve strong growth in a society where the share of the ageing population is increasing, the labour force is not significantly increasing and many goods and services can be cost-effectively and easily produced in countries with lower production costs. Many traditional agricultural and industrial regions in developed countries have been experiencing population and economic declines for decades. It is difficult to see how this trend can be reversed in an economy currently based on know-how, where business is increasingly focused on the largest metropolitan areas that are strongly networked with the global economy. Quickly reducing the effects of climate change and reducing the strain on ecosystems is practically an existential issue for humanity. Considering this requirement sets clear limitations on how economic growth can be achieved. Finland, like other EU countries, has committed to decoupling economic growth from negative environmental impact. This means that the economy cannot grow without considering the cost of increasing the use of fossil fuels or peat, for example. At the very least, these restrictions result in local negative effects on he economy, as industries relying on some resources have to be discontinued. It could even be argued that a part of our negative outlook and dissatisfaction is a result of the transitional period of discontinuing the use of fossil fuels. An example of this is the state-specific 2016 presidential election results in the United States: Donald Trump won the 22 states that produce the most energy-related greenhouse emissions while Hillary Clinton won the eight states that produce the least emissions (and 16 of the 19 states producing the least greenhouse emissions). Economic growth is a rather short-term and exceptional phenomenon in the history of humanity. It is closely associated with the industrial society, modern-form nation states and the liberal human perception created by the Enlightenment. When we discuss progress, we are largely using examples of the growth in wealth in developed countries from the late 20th century, often taking for granted the assumption that this late industrial-era phenomenon is something that will always persist. In the 18th century, the Enlightenment created a view of man who is able to learn, develop, accept responsibility and “reach maturity”. This growth as humans required that the government ensured that its citizens would have the freedom to engage in industry, express opinions and take political action without physical threat to oneself or property, enjoy freedom from authoritative arbitrary actions and ultimately not suffer from a lack of basic material needs. This formed the modern state concept, which is separate and independent from the personal interests and ties of its rulers (for example, one’s family or tribe). A state existed to guarantee certain rights to its citizens. In other words, citizens were no longer considered as the property of the ruler. The stability of countries was built around public institutions, governed though a meritocratic system based on the recruitment of people’s expertise and career development. Institutions in a representative democracy became accountable to their citizens through the political representation leading the institutions. Alternatively put, individuals in “modern” countries became empowered to decide on personal matters and also, gradually, on societal matters. This also led to the economic policies based on liberal views, the liberty of individuals and enterprises. The perception of modern countries and their liberal views based on the Enlightenment occurred at the same time as the industrial revolution, which arose out of a series of technological innovations. These innovations allowed human labour (partially slaves) to be replaced with machinery and provided an enormous leap forward in the productivity of different types of goods. In practice, from this point forward, economies grew faster than the population. Establishing nation states expanded the markets for the new industrial mass production by improving the free movement of goods and capital around a larger geographical area. Industrial development radically changed the structure of societies and the role of the government. First, enormous wealth was created at an unprecedented pace, which allowed investments in science, art, infrastructure and education. Second, a working class and middle class were created, where people were making their living from wages and living to a daily rhythm dictated by working hours. This allowed employment to become a structure that united people’s experience and society as a whole. Third, these social classes became a political force, which had to be included in decision-making through progressive democracy. And last, through taxation, nation states established a role as an equaliser of the fruits of wealth (social security, public services) and as a director of investments in societal development (education, science and technology, political intervention in industry, basic societal infrastructure). The union between nation states, companies and people functioned well during an era of increasing wealth. This union between nation states, companies and people functioned well during an era of increasing wealth by removing material needs and by securing societal peace and the stability of societies (especially after the two World Wars). Work and labour were available, capital resources were available for investment in both new jobs and areas that improved the capabilities of people, such as education, science and basic welfare. The representative system provided different social classes and groups with the ability to have their voices heard and their interests included in decision-making. This allowed a perception of shared goals and fairness to be created for the entire nation: everyone – companies and individuals, rich and poor – pays taxes, which can be used wisely to improve the conditions and open new opportunities for everyone and increase confidence in the future. A created experience of progress has been very tangible and personal for most people in developed nations. Moving from farm work to factory or service work with wages meant monetary compensation and the ability to buy goods, such as bicycles, jackets or watches. Improvements in working conditions and public healthcare have meant a significant increase in the number of years lived in good health. Compulsory education and the expansion of the school network have meant that some have become the first in their family to complete secondary school and have been able to enjoy the increase in social status allowed by education. Municipal libraries and radio and TV programmes have resulted in significantly improved access to information and the ability to follow world events. Investments in roads, energy production, industrial facilities and innovation have offered an increasing number of people the opportunity to enjoy well-paid employment. Public swimming pools, running tracks, concert and theatre halls, adult education centres and public art have expanded the possibilities for recreational activities and provided a route for individual growth outside of paid work. For as long as removing material scarcity and providing access to previously unattainable things has been the ultimate societal goal, producing a shared perception of progress has been relatively straightforward. The ability of people to take advantage of opportunities provided by a progressive democracy has led to relatively direct feedback affecting the quality of people’s everyday lives. Technological advancement and the opportunities to produce goods at a lower cost and for a greater group of people has provided states with exceptional conditions to construct a perception of progress during certain developmental phases. However, the even distribution of the advantages of new technologies to the entire population is not automatic. Instead, it may require political decisions on investments, regulation and using technology in public services. In these conditions, economic growth has been a good indicator of progress. At the same time, growth has become a necessary precondition for exercising any type of political power. If there is no growth, the opportunities to influence the direction of society and create a perception of progress through progressive democracy are rather limited. It is difficult to guide the direction of private investments if the state cannot make investments of its own. It is difficult to increase people’s capabilities if there are no funds to develop education or other services and no ways to use the skills acquired through education. It is difficult to create a perception of fairness if there is less shared wealth to use for sharing. Environmental sciences have produced a lot of evidence of the environmental impact of our societies and economies and how it relates to the planet’s limited resources. These resources include the atmosphere’s ability to absorb greenhouse gases. The widespread and well-reasoned assumption is that it is impossible for the whole world to increase wealth using the traditional Western industrial model within the limited resources of the planet. Securing the material needs of all of humanity is incompatible with industrial-era advancement and leads to a situation where meeting those needs becomes increasingly difficult: the collapse of ecosystems leads to reduced food production, parts of the planet become uninhabitable for humans as a result of climate change and the reduction of essential natural resources leads to increased competition for their control and results in an increase in conflicts and human suffering. It is clear that in such conditions, there is little opportunity for much economic growth and thus for resolving issues through growth. These observations have led to discussions about how environmental impact and an increase in well-being could be decoupled from one another. The challenge is to reduce environmental impact at the same time as increasing the material standard of living for the poorest while not compromising the well-being of others. Technology plays a significant role in the solution. Over the last few decades, many processes have been made practically emission-free – the same raw materials and energy resources can produce several times more end products than before. As a result of the development of solar energy and renewable energy resources, energy production is becoming emission-free, non-renewable natural resources have been replaced with renewable resources and, thanks to the innovations of the circular economy, a refined raw material can be used again and again, significantly reducing the use of natural resources. It appears that, technologically, we are only just beginning to realise these opportunities. Ideally, the production of renewable energy and a cyclical economy will also create wealth and jobs. However, displacing old industries will result in declining income sources for many localities and associated jobs will be lost. Creating new innovations is not enough unless we also expedite giving up the old ways. While technology continues its rapid development, old coal plants, petrol-powered cars, steel mills and old household appliances with poor energy efficiency ratings produce a significant environmental impact throughout the world. They still keep the economy and people’s everyday lives running, so it is difficult to give them up immediately. Creating new innovations is not enough unless we also expedite the process of giving up the old ways. According to climatologists, a rapid reduction of global emissions must be achieved within the next decade or so. Otherwise, controlling climate change may no longer be possible without completely new and possibly very expensive methods, such as artificially manipulating the climate through risky geoengineering. In order to avoid a climate crisis, we are in a rush to discontinue the use of a vast number of old devices, production facilities, buildings and infrastructure, which currently serve people and produce economic growth. Using investment terms, this is a case of writing off company and investor assets. Decoupling economic growth from environmental impact may require that we write off a portion of our society’s collective wealth. A significant portion of investment assets are in mutual funds laden with the shares of companies producing a lot of greenhouse emissions. These funds also form the basis of a large share of our pension funds, which would diminish if we decide to rapidly reduce the environmental impact of humanity. In the short to midterm, this will almost certainly lead to a contracting economy. Unless there is a change in consumption habits the benefits gained through better technologies are lost. Another problem associated with decoupling economic growth from environmental impact is what is known as the rebound effect. If we are able to produce things with fewer energy and material resources, the costs associated with acquiring and using them are reduced. This saves the user funds to spend on something else, such as using the same commodity more, driving longer distances with a more energy-efficient vehicle, using the heating more at home or installing LED lighting in places it was not considered before. It is possible, and often proven in practice, that the environment benefits gained through better technologies are lost in increased consumption, unless there is also a change in consumption habits. There is not a single developed country where the citizens’ ecological footprint would be anywhere near sustainable. Decoupling economic growth from environmental impact is a difficult task. There is not a single country with a high standard of living where the ecological footprint or emissions calculated on the per capita consumption of its citizens would be anywhere near sustainable. Therefore, it has become pertinent to also consider how people’s well-being could also be decoupled from economic growth. This would at least help with the transition period where some of the functions causing significant harm to the environment are being eliminated. The model of progress that developed during the industrial era and is centred on an increase of material wealth and resulting economic growth is ethically unsustainable, based on what we know today. We know that maintaining it is likely to result in significant problems for future generations and even for those living today who suffer most from the health problems and extreme weather conditions caused by pollution. In economics terminology, our wealth has been created by using planetary resources without those benefiting most from that wealth paying the correct price for the externalities. The concept of progress inherited from the Enlightenment was associated with the will to learn and know more about the world. Knowledge, in turn, results in obligations and responsibilities. We are aware of the strong link between economic growth and the existential, environmental hazards threatening humanity. Therefore, it is difficult to see how policies that seek to solve societal problems through economic growth can constitute progress. We need new ways of defining progress. Global environmental issues require governments to work together. We have an economic system created through industrial development and secured by a welfare state. The state is expected to treat all of its citizens equally, to distribute the benefits from economic growth and to encourage people to develop their skills for the benefit of society. The loyalty of individuals has been, and largely still is, to the nation state and its ability to create a safe and fair foundation for all. The power of the people is represented by strong institutions, which have resources and are empowered to make great investments, build stability and act as negotiators with large companies and corporations, for example. Resources are increased by a growing economy and the state receiving tax revenues from citizens and companies. In this model, global environmental issues, such as climate change or weakening ecosystems, are matters outside the sphere of influence of nation states and effective intervention would require governments to work together. This, in turn, would require compromising a nation state’s authority and interests in the name of the common good. A significant change in the perception of progress within industrialised nation states came about with the transition to open, global markets and the gradual expansion of free trade during the second half of the 20th century. Free trade is underpinned by liberal ideals: free markets and trade represent the freedom to engage in industry. But, even more fundamentally, it upholds the principle that affords individuals the right or opportunity to choose between numerous alternatives without the obligation or requirement to conform to a choice predetermined by someone else (for example, the state, relatives or a tribe). Liberalism is associated with the concept of markets forming an open and transparent system, where the choices of individuals and competition result in progress and fairness. Ideally, everyone has an equal opportunity to offer their products or services to the market. 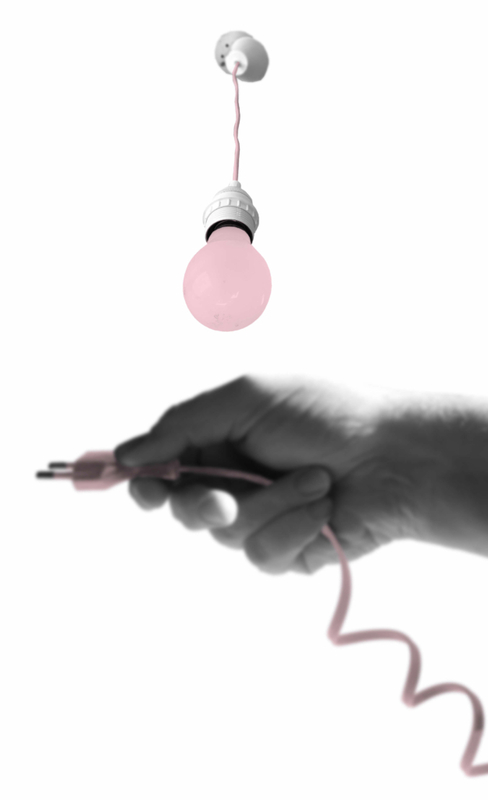 From the consumer’s perspective, the best ideas are successful and continue to be refined to better meet their needs. According to this view, the more the markets expand into society and different areas of life, the more advanced the solutions that serve the diverse needs of people become. As a political movement, liberalism has been associated with the promise of improved interconnections between people and societies, which results in a network of interdependencies and is the foundation for living together peacefully. Many have interpreted a closer network which grows to include all of humanity to also mean an improvement in humanity’s collective ability to quickly resolve problems. Becoming open and interconnected as a whole to form one global market is an optimistic view of the future of humanity. It combines both the promise of the individual’s ability to realise their full potential and work with whomever they choose, regardless of geographical boundaries, and the promise of a caring mechanism that can produce solutions for global complex problems such as climate change. In reality, there are no perfectly functioning, transparent markets. In reality, there are no perfectly functioning, transparent markets. Effective markets always require authorities to set rules or intervene to correct mistakes in the market. The dialogue on the effectiveness of the markets and the necessary political control, both at a national and supranational level, is a central part of political agendas in nearly all societies, with the possible exception of North Korea. Open, global markets have treated different groups of people very differently, meaning free trade has produced winners and losers. Relative poverty has decreased globally and those who have reached or are reaching the status of middle class can be considered winners. Finland, similarly to many other countries in remote regions that have modernised late, would not have become wealthy to such an extent without the proliferation of global trade. Therefore, a majority of Finns are also winners from globalisation. It is also clear that there are a lot of people in Finland and other countries whose lives have become more uncertain as a result of global competition and companies now being owned by global shareholders. The expanded consumption and career opportunities appear too remote and difficult to grasp for many of these people. It is difficult to determine who is a winner and who is a loser in this change. Historical researcher Juha Siltala claims in his book Keskiluokan nousu, lasku ja pelot (The rise, fall and fears of the middle class) that losers include a significant group of people from the Western middle classes. Siltala does not mean a group of people merely defined by calculating median incomes, but also a group of people that earn a living through their work and aim to socially elevate themselves and view life as a development project. According to Siltala, the attributes of middle-class life are: (1) the basic security offered by regular work; (2) an optimistic expectation that encourages investing in the future; (3) self-control that manages an increase in wealth through working and consumption, and the balance between the two; and lifestyle choices that are not ultimately backed by family but by the state and corporations. In fact, this is the same group of people whose thinking and outlook was driven by the ideas of the of the Enlightenment. According to Siltala, life along these lines is possible for a decreasing number of people. The primary reasons for this are the increasing uncertainty of employment, the fact that working life has become more performance-oriented with increased competition and the erosion of the perception of societal fairness as a result of profits being channelled to tax havens and excessive remuneration packages for company executives. These factors erode people’s feelings of basic security, increase stress and have a negative psychological effect on people’s ability to think positively about their personal future and that of society. On several points, Siltala’s analysis touches on the views of the critics of the liberal political project, which were illustrated by the Brexit vote and the election of Donald Trump. Many of these critics declared that the liberal political project that pushes for free global trade entered a crisis in 2016, and that it cannot return to its established status as an ideology shared by major Western political parties and latently accepted by voters. Liberalism undermines the fundamental desires of people to belong to something and feel valued. The main concepts of this critique are possibly best presented by the Indian essayist Pankaj Mishra, who outlines two main points. (1) The liberal elite consisting of well-educated and internationally oriented people located around the world has been very unwilling and unable to relate to the fate of people who have faced increasing uncertainty in life as a result of the global economy. This has resulted in the elite downplaying the negative effects of free trade. (2) The liberal human perception primarily assumes people approach society mechanically and materialistically. At the same time, it relies on an excessively rational approach to the wealth and well-being generated by openness. Most people, however, do not believe in the accuracy of this assumption, which leads to insufficient trust in the benefits of a liberal model of society. Liberalism undermines the fundamental desires of people to belong to something and feel valued and feeds their anger and hate when they feel wronged. The critiques offered by Siltala and Mishra include important lessons which can be used to develop new societal policies. They also include building blocks for progress and confidence in the future during an era of slow growth. 1. Strengthening perceptions of increased competition in society and (working) life skew our interpretation of the world: the will and ability to work together is diminished and confidence in other people is eroded. An offsetting force for this trend is needed – one that supports people’s willingness to work together. 2. The perception of being collectively valued is a force that moves people. Questioning it results in opposition. And attempts should be resisted to define people’s motivation as being based purely on individual personal gain. 3. People’s socio-economic backgrounds affect how well they can take advantage of the opportunities offered by a global economy and developing technology. Hard work and self-discipline are not sufficient on their own for success. 4. The prevailing unwritten agreement about what constitutes the common good in nation states with relatively closed economies no longer applies to the extent it did before. In the past, this agreement justified corporate taxation, for example, as compensation for the stable environment provided by the state. Today, companies and high-performing individuals have a wealth of opportunities for avoiding paying tax to the state, out of all context compared to the benefits they accrue. This weakens the collective perception of fairness and erodes confidence in society. 5. A constant feeling of being undervalued and a growing uncertainty regarding income leads to an increase in insecurity. This again highlights values that promise security and uniformity. In an atmosphere that fosters such values, it is easy to construct a political programme based on a strong authoritarian leader and nation-state traditions. The critiques by Siltala and Mishra of the liberal project relying on an uninhibited open economy are very simplistic. They describe the changed conditions largely from the perspective of the people who have found it difficult to take advantage of opportunities. This is justified if the argument is that it has been difficult to find influential political defenders for this outlook for a long time. However, this also largely neglects the experiences of others, especially younger people. For example, younger people see the current, rapidly changing work life filled with uncertainty as the reality they have grown up with and they have consequently become accustomed to it. Categorising these people that have lived in very privileged times and with comprehensive basic security is somewhat misleading and is unlikely to do justice to their experiences. The critical views of Siltala and Mishra also almost completely neglect to take into account the new channels created by technological advances, especially those digital forms of communication that allow self-expression and connections with people with similar interests. These new cultural dimensions already offer the experience of belonging and feeling valued and significant, experiences previously largely associated with employment. Since the 1970s, a shift has been observed in Finland, along with other Euro- pean countries, from material values to post-materialistic values. Based on the interpretation by political researcher and sociologist Ronald Inglehart, strengthening post-materialistic values (emphasising universalism and self-expression) are associated with an environment where people are becoming increasingly safe. This sense of perceived safety has increased over a relatively long period of societal peace coupled with an increase in the standard of living and the resulting basic material security. Value orientations are largely permanent and are moulded primarily through the learning experiences of the individual. This is why wealth growth and increased security affects values generation by generation. Open and equal attitudes towards different types of people and the enthusiasm to use technology have created a good framework for succeeding in a global economy. The strengthening post-materialistic values have created room for a stronger global culture. Open and equal attitudes towards different types of people and the enthusiasm to make use of technology that enables self-expression, career choices and recreational activities have created a good framework for succeeding in a global economy. Closer political, social and economic integration in Europe and political movements embracing free trade led the acceleration towards post-materialism. The European project united an entire political generation and became a symbol for universal values. It was also a departure from a materialistic world view that emphasised the values of nation states, security and tradition. The younger generations who grew up with a high standard of living are increasingly post-materialistic in their values. Older generations, who experienced severe recession and even war (and who are also more likely to vote), are clearly more materialistic. Another factor that significantly separates population groups is the living environment. People living in large cities are significantly more post-materialistic than those living in small or mid-sized cities or rural areas. Progress should be more in line with the Enlightenment view of empowering people and allowing them to be free to grow throughout their lives. A generation-by-generation trend towards post-materialistic values should mean that expectations for life are changing significantly. If this is true, societal goals should also change. In a way, the definition of progress should be more in line with the Enlightenment view of empowering people and allowing them to be free to grow throughout their lives. What constitutes the growth of the individual in 2017, however, is completely different from that in 1784, when the German philosopher Immanuel Kant wrote his essay “What is Enlightenment?”. In the essay, he defined the goal of the human as being able to free oneself from immaturity. Because of technology, education and the modern social systems that surround us, our abilities as people are completely different to those of people in Kant’s era. We have been able to build sophisticated work distribution systems which can make use of complex technology. The breakthrough of digital communication (the internet, mobile technology etc.) has meant that almost everyone has the opportunity to work with almost everyone else. Alternatively put, almost all people in developed nations currently have the ability to combine different skills irrespective of geographical distances or governmental, cultural or organisational boundaries that separate them. The internet allows people to learn new skills through the use of “How to” videos on YouTube, for example. Experiences can be exchanged on the internet through discussion forums with people struggling with similar problems. People can even buy and sell specialist goods and services online, bypassing traditional commercial retail and distribution channels. Falling for the beautiful idea of triumphant post-materialistic values may also be dangerous in many ways. It is easy to imagine how the transition from political dialogue to post-materialistic needs (self-expression) and personal growth may lead to a situation where those truly suffering from unmet material needs may not receive sufficient attention. This could occur if the people already doing well are provided with additional support for improving their lives. However, this need not be the case. We could well construct a view on progression where human needs are approached comprehensively, without exclusive reduction in either direction, material needs or the ability to develop as a person. However, there is a dependency between material and post-materialistic needs. Resources should be directed in a way that considers the different capabilities of people. 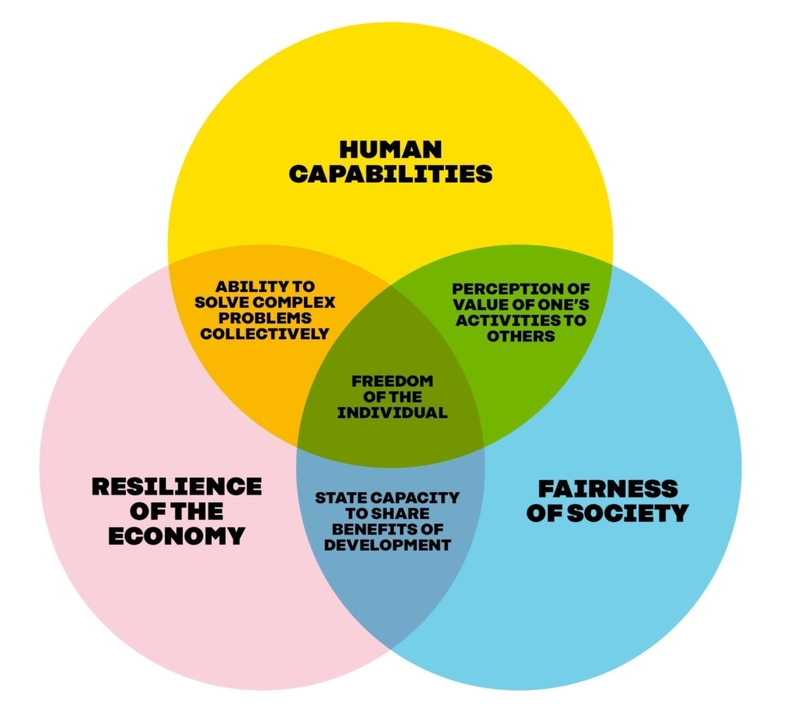 The capabilities approach, created by Amartya Sen and Martha Nussbaum, offers a good framework for a new perception of progress. This approach considers material and social capital as different types of resources of well-being. What really matters is how well an individual fares at transferring these aspects into well-being, i.e. achieves a diversity of things worth pursuing in his or her life. Therefore, when we are striving for a good society, we cannot just talk about the distribution of material resources. It is important to discover how different capabilities are realised in different conditions with people in different life situations and what types of resources best support realising capabilities in these situations. Resources should be directed in a way that considers the different capabilities of people. Many modern-day enlightenment thinkers who have analysed how humanity has grown to become a global society (for example, Thomas Friedman, Philip Auerswald, Peter Diamandis and the recently deceased Hans Rosling) have pointed out that we are only just starting to fully grasp the potential of people and humanity. There are currently 3.2 billion internet users (three times more than a decade before) which means that four billion people do not yet have access to the miracles of digital communication, something that has been considered a part of everyday life in developed countries for several decades. What will the world be like once today’s number of internet users doubles? Humanity’s ability to accomplish things together increases in line with the number of internet users. In an ideal world, there will be billions of people co-operating together. In such an environment, the capabilities of those who already now have access to the internet will also be far greater than today. Growth as a person – or more accurately as people together – could, therefore, lead to much more than ever before. The Enlightenment sought to grow individuals through the accumulation of information and associated moral development: it was about having the will to learn more about the world, to question the dogmatic explanations, conventions and models favoured by the authorities and thus give individuals the responsibility for themselves and for society. Today, many of the achievements in the economy, culture and society are seen as the result of the abilities and actions of individuals. As societies, we have invested in the competence of individuals through education. Companies build their success by recruiting capable individuals. As individuals, we are also able to value the capabilities and uniqueness of each one of us and of others and are able to highlight our achievements as individuals. Individuals rely on the actions and performance of others to maximise their capabilities and improve work results. At the same time, it is clear that individuals rely on the actions and performance of others to maximise their capabilities and improve work results. We use physical and abstract tools built by others, we refine and make small adjustments to thoughts we have obtained from others. We are almost always dependent on others and incapable of achieving anything solely by ourselves. In a way, this is obvious. But digital communication and the information flows between people have given us a new view on who or what is actually creating information. Is it justified to focus on individuals if nearly all information is formed through small changes in the network (connected by digital systems) between people? Growth as an individual occurs when we are most effectively connected to a large group of people and the information they produce. We can still develop our individual skills and achieve significant results with these improvements. Yet discovering new ways of combining other people’s skills with ours is likely to result in something much greater. In the past, this was mainly only possible through large organisations: it was practically impossible to find people with different skills and to organise resources without the structures and resources of a company or public institution. Today, the internet, search engines and services based on peer-produced content have changed this model. As a result, we can make unbelievable leaps forward in what we can accomplish, not alone as individuals, but as communities, networks and humanity as a whole. What makes all of this exciting is that the same perception of accomplishment is possible for many different types of people. An Ethiopian farmer can learn how to use new machinery by watching a YouTube video, a Chinese teenager is able to exchange fashion tips with strangers on a chat channel and a Finnish entrepreneur is able to find a graphic designer using a microtask platform. In a way, there is no moral alternative to this collective development and growth of humanity. Individuals and humanity as a whole must develop to a new level, so we can resolve the problems the industrial era and its associated rapid accumulation of wealth caused. The United Nations Framework Convention on Climate Change (UNFCCC) was signed in 1992. The foundation for the carbon credit system, which aimed to control climate change through markets, was established by the Kyoto agreement in 1997. The agreements were milestones of their time in terms of humanity’s ability to create solutions for its greatest problems. As we know, the global political process to control climate change has advanced regrettably slowly since then. The threat of catastrophic climate change is nearer than ever and looms over the future expectations of many. It is comforting to think that with this as the background, humanity’s ability to unite all of its capabilities to create new solutions has grown enormously since the first global climate agreements and continues to grow. Small and medium-sized technological, administrative or lifestyle choice solutions can be developed and shared globally much quicker than in the 1990s. We do not know if the closer connections between people will ever be reflected as sufficient political agreement for resolving climate change or similar global challenges. Regardless, it is easy to see how much quicker different types of small and medium-sized technological, administrative or lifestyle choice solutions can be developed and shared globally compared to the situation in the 1990s. People’s values and their ability to engage in co-operation are currently developing considerably slower than technology allows for. Even people accustomed to a relatively secure life in developed countries are not very eager to support or build global co-operation politically, if their own income and perception of the value of their community is increasingly threatened. However, the spread of post-materialistic values is unlikely to slow down. Generation by generation, there is a larger share of people that have grown up with a sense of security – despite the existence of wars and poverty. The claimed erosion of the Western middle class is unlikely to change this. At the same time, the number of technological, economic and cultural systems that unite the world are increasing and becoming more diversified. There are more shared things as a result of global culture (films, online games, YouTube channels, top soccer teams and other stars of popular culture). This inevitably leads to learning a new type of co-operation. And we still have not even started on testing what artificial intelligence and the resulting efficient and precise translation from one language to another could accomplish. We need to seek new ways of describing progress in terms of diverse growth and development of human capabilities. However, we still need a new type of political project for advancing the global era. A project that takes discussion away from material needs and the need to secure them and bravely describes the human development horizon in front of us. A project that does not return the discussion merely to economic growth figures, but seeks new ways of describing progress in terms of the diverse growth and development of human capabilities. A project that offers an understanding of people’s emotions that are associated with maintaining the perceptions of self-worth and being valued in a rapidly changing world. So, how can we define progress in a world coloured by post-materialistic values where at the same time the basic material needs of an increasing number of people are secure and everyone has a perception of basic security? And how can this be done in an era where economic growth may not be significant, but different types of resources and capabilities are distributed widely across society? For the basis of the new model, it is important to return to the point that the progress project is a moral project. All members of humanity must be offered the conditions to be free of compulsion – social, material and psychological – and develop as people throughout life. This individual liberty, however, acquires a social characteristic in society: the true freedom of an individual is only realised when free people are able to achieve significant things together. Before drafting the new model, it would be good to compare it with the model of progress of the industrial era, which was based (and still is) on satisfying needs through rapid economic growth. This model is illustrated in Figure 1. The rapid economic growth of the industrial era provided exceptional conditions for eliminating material needs and expanding freedom, subsequently biasing discourse on progress towards these goals. Achieving this required that there was the ability and courage to invest. This, in turn, required the fruits of material wealth. Instead of merely satisfying basic needs, some of these resources also had to be allocated to education and to improving the capabilities of people, science and the development of new technology. Naturally, investing in these also had a positive effect on economic growth, but often very indirectly and after a long delay. Up until the mid-20th century, the significance of education and science to a nation’s wealth accumulation was rather unclear. To that point, investment in education and science was mainly justified morally: the goal was to advance a nation, evidence of which was the sophistication of people and the masterpieces and breakthroughs in arts and science. Only later was the benefit to the economy realised. At the same time, the liberalisation of people’s lives occurred on many levels. First, “negative liberties” took hold, meaning the freedom from immediate material need and other everyday difficulties, ignorance and authoritative dominance. Then, “positive liberties” began to gradually spread, meaning liberties associated with individual success and the chance to elevate oneself socially, actively defining personal life choices and leading to the learning of new capabilities. In practice, all modern, advanced nations have policies today that distribute the benefits of growth and the related opportunities to those who otherwise have difficulty benefiting from them. Nations also invest in resolving significant societal problems (regional inequality, health challenges, care of special groups, environmental issues) by funding research, engaging in industrial policies and offering free or affordable services to the population. All of these create jobs which allow people to live self-reliant lives using the income from them. A job also offers a social community and a perception of being useful. This allows employment to ensure economic participation and a perception of achieving things together. Measuring economic growth as GDP offers a uniform indicator of societal development, which also allows comparison with other nations and their development. Gross domestic product also acts as a shared symbol of progress. Figure 2 below depicts a new type of pluralistic view on progress. A pluralistic view of progress assumes three different types of slowly developing societal resources. (1) Human capabilities, which refers to the ability of individuals to reach the goals they have for their lives. (2) Justness of society, which is people’s experience of societal norms and institutions fulfilling their perception of fairness. (3) Resilience of the economy, which is the economy’s ability to adjust and help society to adapt to rapid changes. All of these three resources are bound by the quality of interaction between people. Each one of them may become more or less significant in a society and none of them alone are sufficient to create a perception of progress. Along with individual liberties and equalising benefits, people’s personal perception of the value of their activities to others and the resulting sense of working together are also important. Economic growth in this approach is no longer an indicator of progress, but one of the tools that is used to build progress and maintain people’s faith in it. In this model, the freedom of individuals and equalising the benefits from development are still a central part of progress, as is society’s ability to persistently develop collective solutions to complex and abject societal problems. Along with individual liberties and equalising benefits, people’s personal perception of the value of their activities to others and the resulting sense of working together are also important. The significant difference from a model primarily highlighting economic growth as progress is the inclusion of the capabilities of people and the associated co-operation. Capabilities are not just related to employment or the ability of people to manage their personal well-being; there are also forms of co-operation that allow capabilities to be channelled for collective problem solving outside of employment and also, partially, outside the markets. Such co-operation may occur, for example, through participation in political activities, peer support, digital peer production and a sharing economy, different types of recreational activities and some consumer choices. The concept of progress should be updated to fit a society ruled by post-materialistic values. This could improve the currently negative outlooks on the future despite a long-term period of low economic growth. The key is to realise how exceptional the conditions created by the industrial era were for better satisfying material needs and strong economic growth. As a result of this, economic growth became a yardstick for progress for a long time, despite no credible economist arguing that GDP was an indicator for anything other than a nation’s production. In an increasingly post-materialistic era, progress cannot only rely on economic growth. In a digitally connected and increasingly post-materialistic era, progress cannot only rely on economic growth. Nor is progress only measured by an individual’s growth; it is also defined by the growth of society and humanity as a whole. Behind this is the technological transformation that started with the internet and will continue with artificial intelligence and that will change our way of co-operating and understanding. One way of strengthening the new progress is simply talking about it. A negative outlook and describing the future of a society as being in recession are social constructions, reinforced by being repeated in political and public dialogue. However, there is a demand for a clear and hopeful vision of the future. Over the past few years, political populism that has done so well in different countries has struck that note. Its rhetoric presents easily recognisable future outlooks that largely rely on bringing back the past. History and our own experiences often control our way of imagining the future. If there is no ability or courage to create better and more vibrant visions of the future than populists do, the chain of regressive political programmes relying on nation-state traditions may continue. Therefore, an improved ability to dream of a better, progressive future is needed and discussion must be gene rated on it. In addition to discussion, action is naturally also needed; action that improves people’s capabilities and lives, that updates societal institutions and norms to be fairer and that reforms the economy. For example, the following initiatives can help make the new progress tangible. 1. New ways of globally redistributing wealth are needed in the medium term. The combination of today’s globally expanded markets and new technologies are creating wealth for the most successful companies at an unprecedented pace and concentrating that wealth in the hands of fewer people. At the same time, the old nation-state methods of distributing wealth continue to weaken amid global competition. The madness of the situation has also been acknowledged by some of the super-rich, who have channelled their wealth to charities. The philanthropic efforts of billionaires have become a global movement that aims to make channelling excessive wealth to the common good a norm. . In order for people to maintain their perception of fairness, however, this is not enough. Instead, many other methods of channelling wealth to causes enhancing the common good must also be created. These solutions are unlikely to be realised through welfare systems based on nation states. Instead, they will rely more on new types of supranational income distribution systems. 2. An economy can be renewed despite slow growth. In the future, the dynamic quality of an economy will be appreciated more than quantitative growth. Resilience of an economy means a diverse and continuously renewing industrial structure and the participation of people. Therefore, the focus of economic policies must shift from the traditional increase in national competitiveness to constructing ecosystems with vitality. Ecosystems typically engage in co-operation with universities and research institutions, large companies, startups and public-sector organisations. Effective ecosystems provide solutions for significant societal problems, create jobs and connect regions and their residents to the best global contributors in their industries. 3. Social security can be developed to promote the emancipation of people. To date, social security has been seen as a way of offering protection during difficult phases of life and ensuring subsistence to those who have encountered more difficulties than others. An alternative method is to consider social security as a way to expand upon people’s liberties. This would allow social security to build confidence in people’s capabilities and their will to find ways to benefit others. For example, the idea of unconditional, universal basic income distributed to every citizen is a radical one. It could liberate a significant group of less fortunate people from the stress caused by current social security arrangements. It would also leave them with capacity to develop other areas and improve their ways of coping. Ideally, the result should be that a much greater group of people feel that they have the courage to do something new and significant. Many people are already dreaming of turning their hobby into their job. Hopefully, in the future, basic income will allow for an easier transition to receiving income from work one feels passionate about. 5. Schools should lead the change. The perception that comprehensive schools emphasise capabilities obtained through co-operation would have a lot to offer to the rest of society and the ideal of life-long learning. The current Finnish comprehensive school system is one of the most radical institutions in our society. We have learned to feel very proud of it and have celebrated its PISA (Programme for International Student Assessment) success. Finnish schools today are places of learning together where the foundation is the age range-specific learning capabilities of students and the resources and strengths of everyone. Students also learn to accumulate good self-knowledge and engage in open self-reflection. It is important that schools of the future are seen as local dynamos of societal progress and that this is considered when assessing their resourcing and management. 6. It is also important that schools support the steady creation of new technological opportunities. The rapid development of digital technology, artificial intelligence and robotics may create enormous differences in people’s capabilities over the next few decades. The only effective way to reduce these differences is substantial investment in life-long learning. The focus of education must increasingly be on metacognitive abilities, co-operation capabilities and encouraging curiosity. At the same time, schools must be places where all of the members of the local community, not just the actual students, are able to test and make use of the latest innovations. This inclusive school model, based on being connected with the local community, also provides a foundation for implementing phenomenon-based learning in education. Volrath, Dietrich: “A Brief History of Economic Growth”, Perspectives 11.2015. Kosonen, Mikko: “Economic growth on terms of well-being but not at any cost”, blog post 24.10.2016. Kant, Immanuel: What is Enlightenment? Friedman, Thomas L.: Thank You for Being Late: An Optimist’s Guide to Thriving in the Age of Farrar, Straus and Giroux, 2016. Auerswald, Philip: The Coming Prosperity – How Entrepreneurs Are Transforming the Global Oxford University Press, 2012. Diamandis, Peter and Kotler, Steven: Abundance: The Future Is Better Than You Free Press, 2012. Mishra, Pankaj: Age of Anger: A History of the Present. Farrar, Straus and Giroux.